Stainless steel strip precise leveling and horizontal cutting flying shear machine, Model: JSL-1.5-1300NCR is designed and manufactured by Shanghai Tengqi Steel Machine Manufacturer Co., Ltd. It is used for process the stainless steel plate into desired size according to the demands of clients through leveling and horizontal cutting. 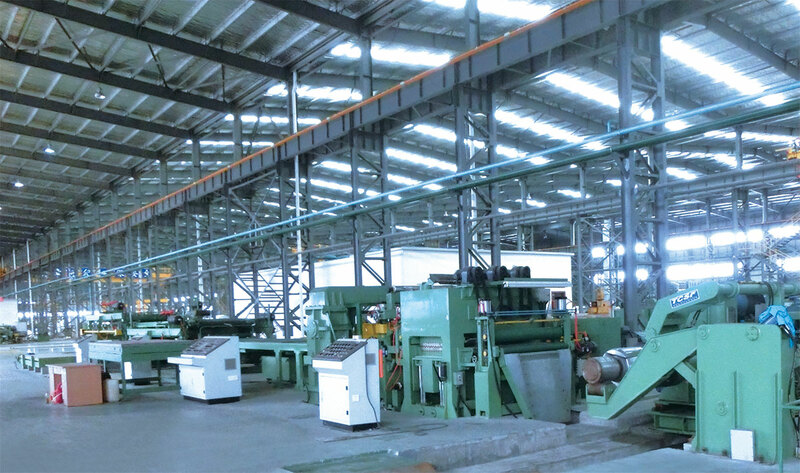 The leveling adopts 19-roller sixfold structure, and the shearing adopts helicoids shearing machine with PLC server control.